RT was not allowed into the headquarters of French presidential candidate Emmanuel Macron, despite earlier being promised accreditation by his team. Correction: Initially, it was incorrectly stated in the story that the Ruptly crew was also denied access. It eventually turned out that RT's video agency received press credentials moments before voting began. 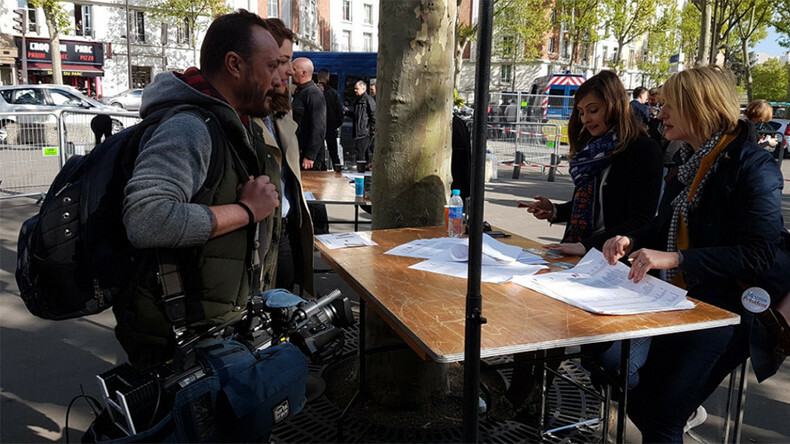 And so on Sunday evening, RT crew was not allowed into the Macron campaign HQ, where there was a heavy security presence. Members of Macron’s campaign have repeatedly accused RT and Russian news agency Sputnik of spreading “fake news” and misinformation on behalf of the Kremlin. In March during an interview with Sky, Macron’s aide Mounir Mahjoubi accused RT and Sputnik of being the “first source of false information shared about our candidate” and working with “fascist organizations or extreme right news organizations.” And in February, the general secretary of Macron’s campaign, Richard Ferrand, accused the two Russian media outlets of “spreading [and] developing fake news” to allegedly “influence democratic life” in France. RT has adamantly denied these allegations as appalling and unfounded. “It seems that it has become acceptable to level such serious charges at RT without presenting any evidence to substantiate them, as well as to apply this ‘fake news’ label to any reporting that one might simply find unfavorable,” RT’s Press Office said in response to Ferrand’s remarks. RT International and RT France are, over the next two days, reporting live on the French elections from an open studio located on the banks of the Seine at the foot of the Eiffel Tower. 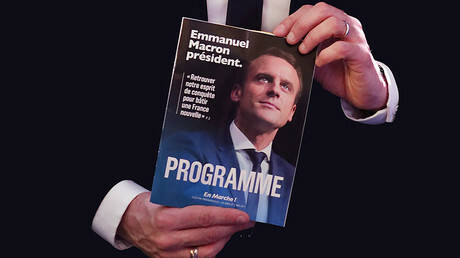 This coverage from the HQs of each of the key candidates (except, it seems Macron) as well as views and analysis of leading experts and politicians including members of the National Assembly and the presidential candidates themselves.